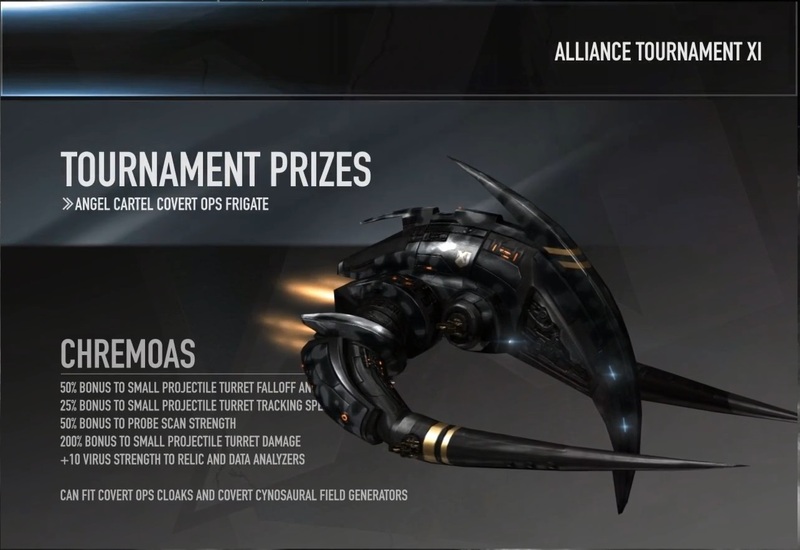 Alliance Tournament prize ships are some of the most valuable objects in EVE. CCP let loose with the stats, creating beasts of war that surpass any other ship in their class, but taking one of these into actual combat is something only the extremely rich or extremely foolhardy ever do. It is more common, however, that we see them used in the Alliance Tournament itself, where it could be argued that it’s worth the risk. What do you think of the continuing concept of ships as AT prizes? Is it a good model? What about the ships themselves: Are they an interesting, super rare addition to the sandbox, or unnecessary anomalies in the balance of EVE? Apoth: AT ships are cool. They don’t need to have a purpose or necessarily TQ combat viability, or even AT viability for that matter, just have cool bonuses and stats. They’re dream ships, ships we want posters of, and if one of our friends gets one of them are amazed. That said, I would like them to be somewhat AT viable so we are more likely to see them at some point and make a little mess on our desks. Neville Smit: I’m with Apoth on this: AT award ships are cool. They add an extra wrinkle to Tournament strategy. When one appears in a match, you know that team is going “all in”. It takes courage to do that, and it gives those matches some extra dramatic flavor. Plus, it’s interesting what CCP Rise, CCP Fozzie and the other devs can cook up when they aren’t constrained by game balance concerns. I love it. As an avid ship collector, I yearn to own some AT prize ships, but I know my chances of ever getting my hands on one are slim. That only makes me more fascinated by them. I say: keep introducing AT prize ships! Gin: Well, I’ll start with a disclaimer: I’ve seen one live AT final and never personally saw an AT prize ship out in the “sandbox” portion of the universe. In my mind, these ships are trophies that remain in a pilot’s hangar, giving that person a sense of accomplishment and pride every time they log in, in spite of the layers of dust the ships must be collecting. Given the risk vs. reward nature of the game as a whole, I’m not sure what scenario could possibly justify bringing one of them out into the harsh regions of null/lowsec where certain entities make a living (or at least a reputation) off of hunting down expensive ships. That said, I can see their use in an event like AT because of their ridiculous stat lines and opponents’ inability to come up with a quick counter. Simply put, these ships are better than their T2 counterparts, and opponents should have very little, if any, experience dealing with them. It would seem to me then that a comp involving an AT prize ship (or several of them) could be utilized as a last resort for a team that needs a win to stave off elimination or as an “I win” button late in the tournament. Of course, there’s really no such thing as an “I win” button in EVE and certainly not in the AT, but those ships might be the closest things to it. And finally, like Apoth said, the ships are just cool. For thousands of years, humanity’s combat-related tournaments have often rewarded their victors with ceremonial weapons and armor that might not be viable for everyday use but still get passed down from generation to generation because of their immense value and wow factor. For example, my grandfather (via his father) owns a pearl-handled, chrome Colt .45 revolver that has yet to be fired (‘Murica). So yes, even without a practical use for them, I believe the AT prize ships should continue to roll out every year, creating a sense of pride for their pilots, jealousy in their enemies and friends, and once every millennia, a video of one getting blown up on Reddit. Gorski Car: I think these ships should be kept as prizes. I don’t know if making them super OP is good though. The only place these ships are viable to the metagame is in the Alliance Tournament and making them a must have or something that always wins could create a snowball effect or unnecessarily high barriers of entry. Therefore I think it is cool with some less combat viable but fun things like a Sansha hictor or interceptor. 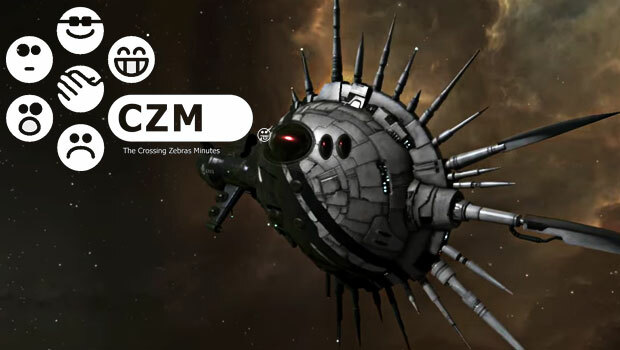 I would love to see them keep getting uniqueness bonuses and I think CCP missed an opportunity here with giving these ships an entosis bonus. MukkBarovian: These ships are very interesting in the alliance tournament setting. They provide an edge and dodge the banning process to some degree. They are not ‘I win’ tickets. See how often they have been used in the past. See how many have been lost and what was gained for it. If tournament ships simply beat everyone else, you would expect to see winning teams spamming them to victory. That does not happen. Outside of the alliance tournament these are collectors items. They scream to get blobbed and primaried. They do not tank enough to survive being blobbed and primaried, even with a fleet backing them up. Using one is probably just stupid when you compare the opportunity cost. I would be excited to see some prize ships outside of the frigate/cruiser category. For example, a faction carrier would be very interesting. It would not be eligible in the tournament like a battlecruiser might be. However carriers are vital to winning battles, either as support in a wrecking ball, or as muscle for subcapitals, including being triage ships. An alliance tournament winner could field a fleet of these, or sell them to rich FCs and collectors looking to show off their wealth or gain the edge. At the same time carriers most certainly die much easier than supers and titans. And they could not be replaced. It would be a very interesting dynamic.